Do you find yourself overwhelmed with debt? Are you in the middle of a financial nightmare? Do you find it hard to make the slightest dent in the same amount of debt you're in? Debt feels like a heavy weight that hangs around your neck. Debt creates stress and cause people to worry about money. If you don't pay it down quickly, it gets bigger over time, and you pay a lot more in the long run. This makes it very difficult to get out from underneath. You can get this huge weight off your shoulders! You can still get out of debt no matter how much money you owe. Knowing what causes your bankruptcy will help you identify financial problems early and take control of your debts before they take control of you. 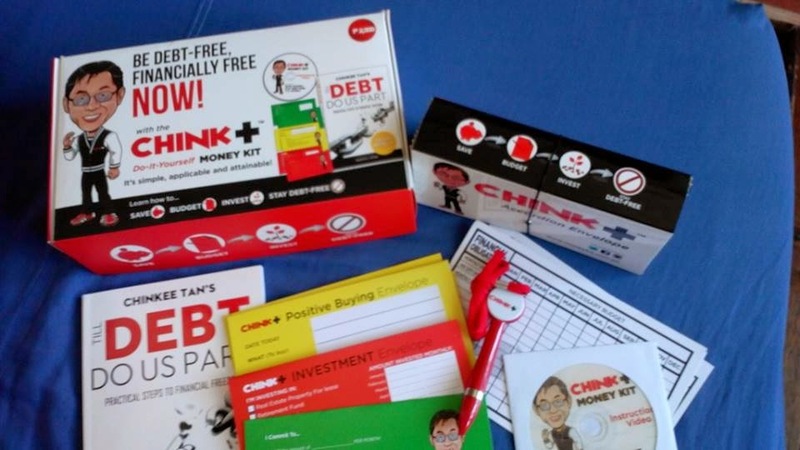 The Money Kit by Mr. Chinkee Tan lets you attain a Debt-Free lifestyle. 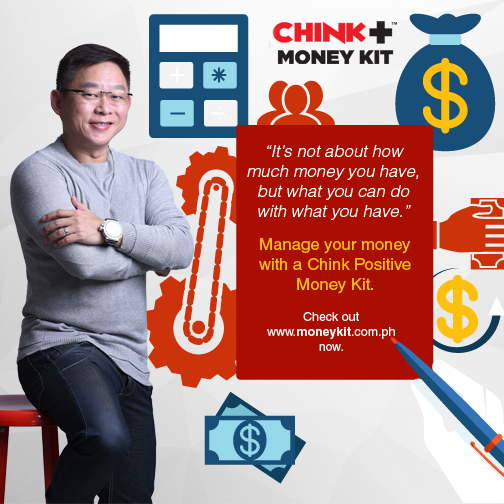 Just when you think that your money is just dribbling out of your pocket, the do-it-yourself Money Kit by Mr. Chinkee Tan shows you how easy it is if you just get started now! You can be completely debt-free and can pay for things without going back into debt! See how your perception of “wants” and “needs” changes once you start doing the "baby steps". 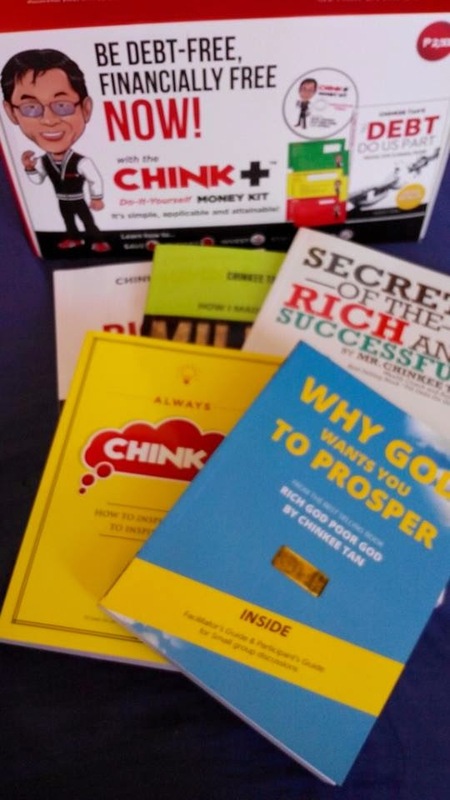 Chink Positive Money Kit Manual – guide that helps do the step-by-step process on how to start your financial journey and be debt-free. Chink Positive Debt Repayment Plan Worksheet – helps you choose from different debt reduction strategies, identify the highest debt and monitor timelines when you can be debt free. Chink Positive Financial Obligation Worksheet – helps you prioritize your spending on the "needs" and removes the "wants" in life. Chink Positive Expenditure Envelope – helps you keep track of your daily, weekly and monthly expenses so that you know how much you spend monthly. Chink Positive Saving Envelope - gets you started in saving with whatever little you have. Chink Positive Investment Envelope – lets you achieve your financial goals to make your money grow. (d) lets you know if you are living within or beyond your means. Chink Positive DVD Guide – Chinkee Tan’s video that can help you and guide you on your personal journey. Till Debt Do Us Part Book – a book by Mr. Chinkee Tan which help people learn the basics of saving, budgeting, staying out of debt and investing money. But wait, you get FREE Book Gifts (totalling to over P 2000) when you place your ORDER now! If you sign up in the form below to reserve the Money Kit, I will send you a a FREE E-Book on Freelancing which can help you earn extra money and help you over that chasm between where you are and where you want to be. Kindly note that you have to leave a message at this post or send me a message through email as soon as the purchase has been made. 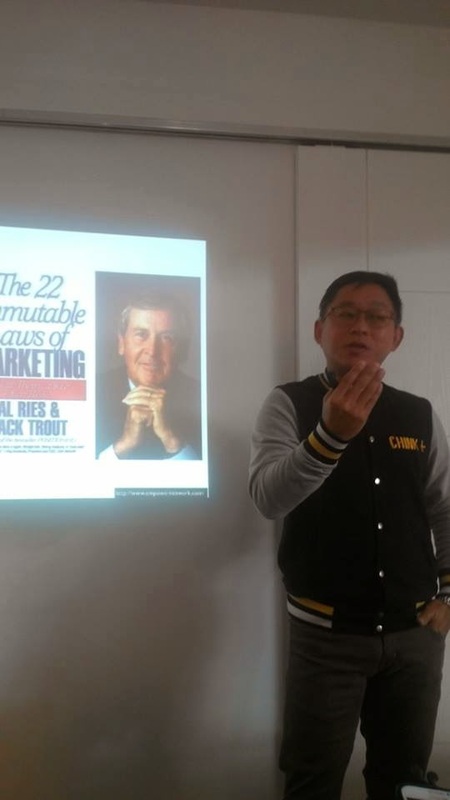 Chinkee Tan is a well-known Wealth/Life Coach, author of numerous best-selling books on money-wise strategies and financial wellness. He hosts the award-winning show "Chink Positive". He is the most sought-after expert on personal finance. He is known for giving sound financial advices based on current financial situation and in accordance with an individual's short, medium and long term needs. Follow Chinkee Tan on twitter and facebook to get out of debt as fast as possible and make your money work for you. I'm glad that I don't have any debts right now. But it still helps to know how to get out of it or how to stay debt-free with Chinkee Tan's books. Oh they ship these items worldwide with a corresponding shipping fee. Interest from debts can really be heavy so it really help to plot your expenses and map up ways to pay or avoid debts. We live through good times and not-so-good times so staying on a budget helps. This would be an ideal gift for someone I know. Too bad, I don't have the resources right now to buy this for her. No debts for us and we intend to stay this way that's why we are keeping track of everything we spend. That's a nice book to read! Try to save more and spend less. The less you spend now on non-essentials, the more disposable income you'll have for debt and savings. This is a nice book. It is really important that you spend your money wisely. Else, you'd be swimming in debt without you even realizing it. I am glad that I stop using my credit cards. I am not using my debit card or cash when I shop. That is a good way to start. Paying in cash lets you monitor your spending. I am not in debt right now, and while I think this is a lovely kit, I can't help but wonder about the practicality of the price. But I want to start reading his books! These are nice! We all want to be free of debt or maybe avoid being in debt with such simple tools. This is such a great kit. I love reading finance, too. We have just started with getting a house and lot and can't wait to pay it off ASAP. This is helpful. To be honest, I'm hesitant on spending money to attend seminars. I want to see results first from people I know personally before I give away my money coz I don't have the luxury of spending that much on seminars YET :) I know there's much to learn but right now I'm taking baby steps to financial freedom, the first step I took was to get a VUL from SunLife. Wish I could get the chance to attend this, too. Meanwhile, I depend on my online coach for important matters, so I can sort of control what I do with my finances. Got her from Livecoach. Extraordinary articles and awesome format. Your blog entry merits the greater part of the positive criticism it's been getting.